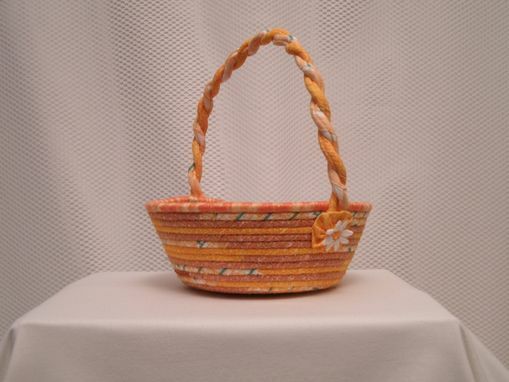 Cloth Basket W/Handle -Coiled - Clothesline Handwrapped In Fabric. Small Round -Shades Of Orange. 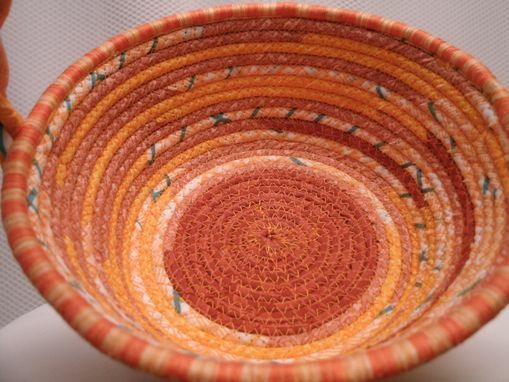 Adorable ROUND BASKET in shades of orange. 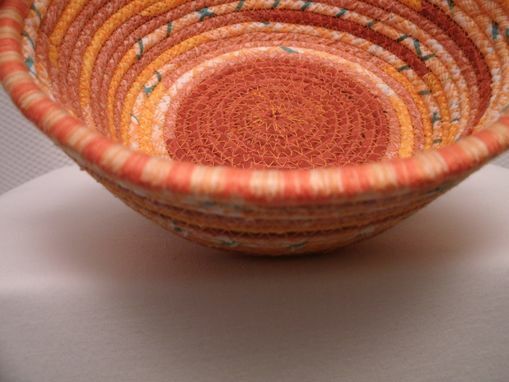 Basket is constructed by handwrapping CLOTHESLINE in strips of fabric and then machine sewn with a zigzag stitch. 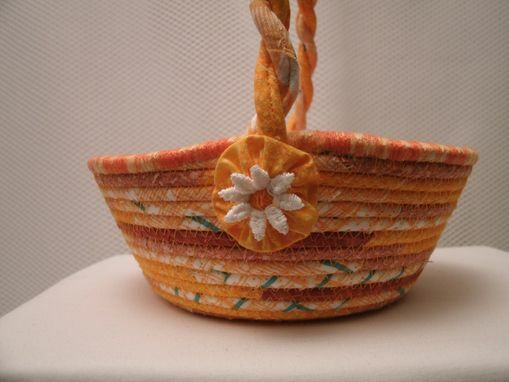 Basket measurements/details: bottom diam. 4.5 inches, top opening 6.5 inches in diam., 2.5 inches deep. Twisted handle of matching fabric. Yoyo with flowered center accented on handle ends.